Wolf-Garten Telescopic Tool Handle 170-300cm from the popular Multi-Change® inter-locking tool system, is specifically designed for connecting to all Multi-Change® Wolf tool heads. 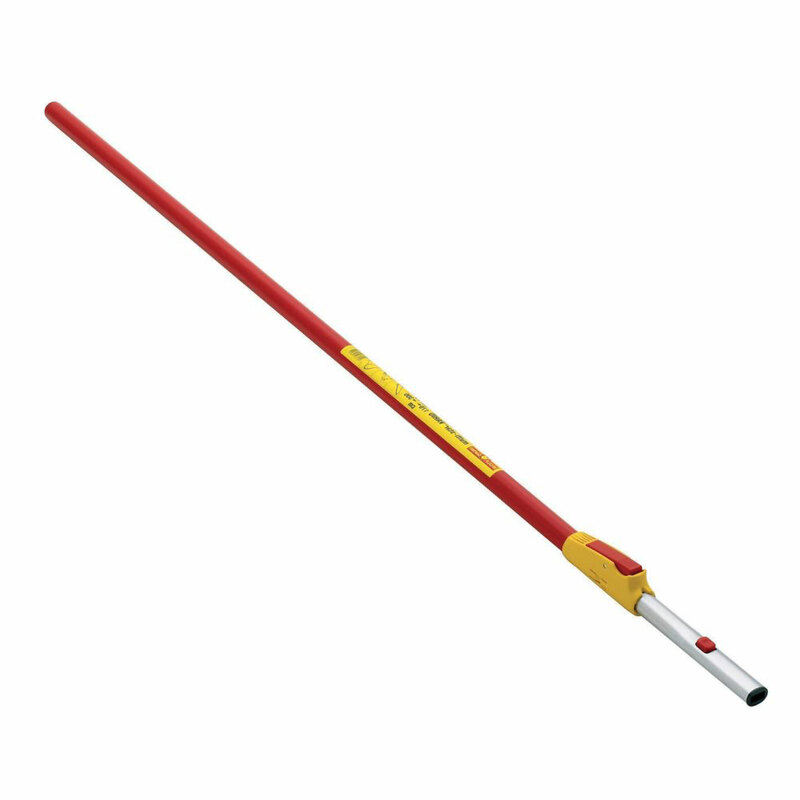 Telescopic Vario handle ZM-V3 is ideally suitable for extended reach for tree or pond care, and is adjustable to lengths between 170 - 300 cm. Made of high-quality extremely sturdy but lightweight aluminium, and allows working at heights up to max 4.7 metres* avoiding the need for a ladder. Push button tool-head release, guarantees a safe and secure tool-to-handle connection, whilst ensuring easy tool head exchange. Wolf tools represent high quality engineering and supplied with a 10 year guarantee. * When using accessory length.